Founded in 1914, Long Creek Academy in Oconee County was one of six “Mountain Mission Schools” constructed with assistance from the Southern Baptist Convention. It was operated by the Beaverdam Baptist Association in hopes of educating Baptist ministers and also running a Christian school for children who lived in the region. It later became an state-accredited private high school and operated as such until the mid-1950s. The school became a private school when the Southern Baptist Convention parted ways with Long Creek Academy in 1931. 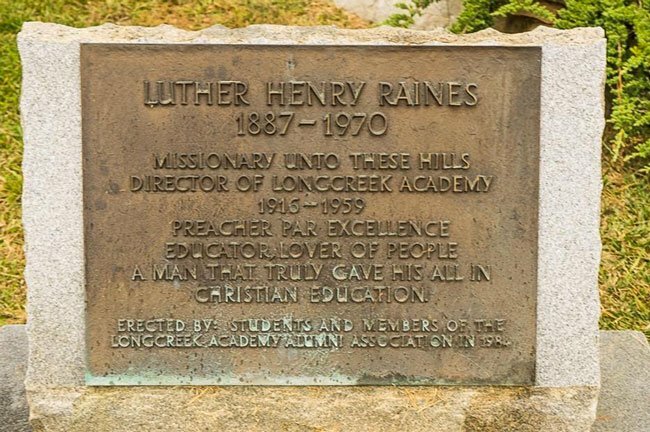 From that point the school was directed by Henry Luther Raines; a marker was placed on the campus in his honor in 1984 (seen below). The main building of the school, seen above, was constructed around 1914 and appears much as it did when it was built. The Sullivan Building, pictured below, was built in 1917 and served as a dormitory for girls. 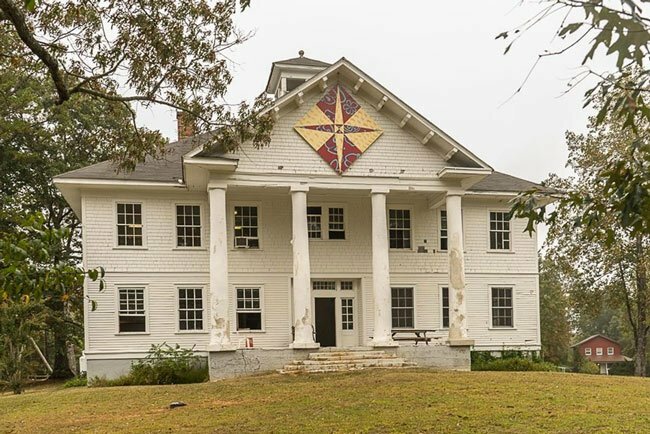 The school was sold around 1970, and the Sullivan Building is now the headquarters of a local whitewater rafting company, Wildwater Chattooga. The outfitter has been operating from Long Creek Academy since 1971 and is located near the scenic Chatttooga River. Long Creek Academy opened in 1914 and operated until 1956, and trained dozens of Baptist ministers and hundreds of lay persons. Long Creek Academy was organized by the Beaverdam Baptist Association to educate in a Christian manner the boys and girls of the northwestern rural area of South Carolina’s mountain section. It was originally part of a system of mountain mission schools overseen by the Home Mission Board of the Southern Baptist Convention. The school operated as a private corporation headed by Luther Henry Raines after 1931 when the Baptists withdrew from the academy business. The Main Building and Sullivan Building, both large two-story frame buildings, were the first two school structures to be built, in 1914 and 1917 respectively, and remain much as they originally appeared. The Main Building was built as a combination school and girls dormitory. 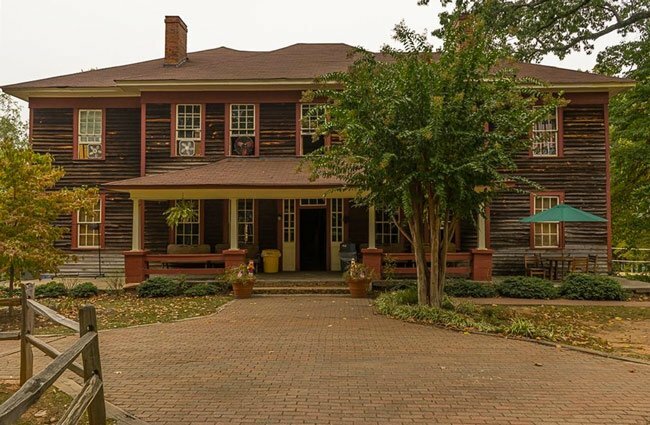 It is L-shaped, has two stories and an attic, and is of wood frame construction with weatherboard siding on the first story and wood shingles on the second. The foundation of river rock mixed with concrete has been stuccoed and scored to resemble cut stone. The building features a gable-roofed portico sheltering the three central bays of the seven bay front elevation. The four Doric columns supporting the portico are stucco-faced brick. The gable end of the portico contains a semi-circular fanlight. The Sullivan Building is a two-story, L-shaped, wood frame structure with a hip roof and a basement. It is sheathed in unpainted weatherboarding and has a concrete and river rock foundation. There are eight brick chimneys. The interior contains twenty-four rooms.